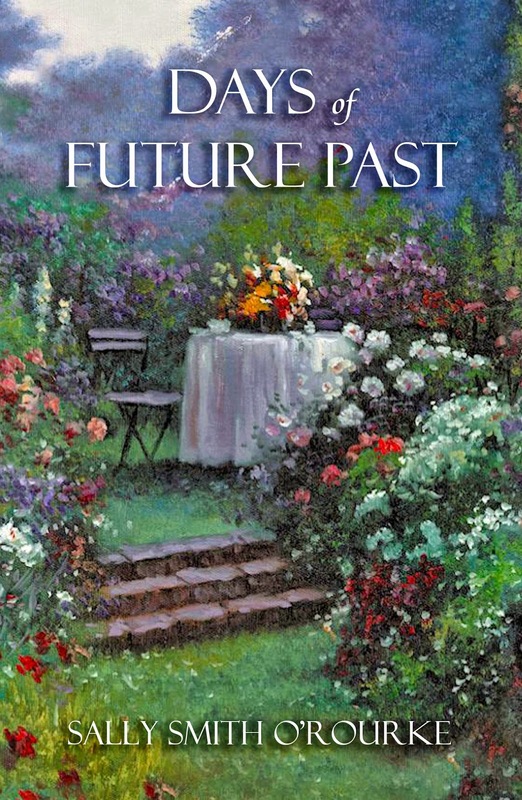 Strange happenings, past lives, intrigue, romance and forgiveness…these are only a few ingredients in the recipe for the extraordinary novel, Days of Future Past by Sally Smith O’Rourke. An earthquake in Southern California during a warm March night sets the stage for this delicious book. The result is a fast paced story that kept me involved from beginning to end. There are so many things that I loved about this book but will only mention a few here. The rest I leave for each reader to discover and savor for themselves. 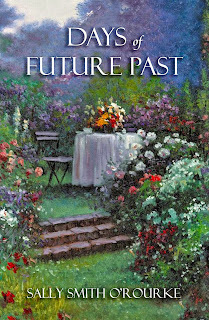 The main characters, Ann Hart, family therapist, and Ted McConaughy, trauma therapist, have a past and are about to collide again in the present. After twenty years their paths cross in the aftermath of the devastating earthquake leaving them bewildered and excited. This encounter sets off a series of events that take the hero and heroine on a voyage of adventure, recurring dreams and mistrust. All characters are well developed and believable. The minors are as engaging as the majors. Gigi, Ann’s Great Pyrenees, is a big ‘cuddle bear’ of a dog and is a charming furry addition. She has a few significant parts to play in the narrative, as well. I wanted to hug her too. Jamie, Ann’s uncle, is Ted’s mentor and boss. This connection brings Ann and Ted together in some most unusual ways. Sara Jane, Ted’s sixteen year old daughter, is delightful. The role that she plays is endearing and I loved her first meeting of Ann. Ellie, Ann’s friend and sister-in-law is supportive to Ann during difficult times. I also like that she encourages Ann to move on with her life. This book by Sally Smith O’Rourke is well written and entertaining. It bravely explores the territory of reincarnation and invites with descriptions so complete the reader is imported into the scene itself. I enjoyed every word. Although I have little knowledge about the subject of past lives I found the narrative fascinating and credible. Add in a touching love story that endures the expanse of time and the result is a novel of remarkable and astonishing events. You cannot go wrong with this latest by Ms. O’Rourke. I was not ready for the tale to end but still felt the pleasure of a satisfactory conclusion. I highly recommend Days of Future Past. Thank you for taking the time to read my review. I hope you will have the opportunity to read this book. 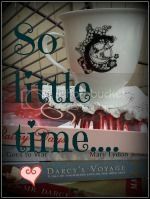 Sally Smith O'Rourke is having a fabulous giveaway in conjunction with her guest post! She is giving away one eBook edition of Days of Future Past, internationally, and one paperback edition, US mailing address required. Please leave a comment below to be entered in the giveaway. Also please let me know if you will be entering for the eBook or the paperback. If you leave a comment here and at the guest post by Ms. O'Rouke, you will double your chances of winning. Thank you for commenting and don't forget to include your email address for contact purposes should you be the winner. Without it you will not be entered. I have extended the giveaway since I was later posting my review. Therefore the giveaway will end at midnight May 19, 2015. Good luck to all of you. I hope you get a chance to read it. Thanks for stopping by. Sounds great, especially I am a sucker for stories with animals. Love Great Pyrenees. I love the animals too, Melanie. It is a good book. I hope you can read it. Thank you for the lovely words, Janet. I am so pleased you enjoyed the book so much. I certainly love the cover, thanks to you. I enjoyed it very much, Sally. You know I am thrilled that you love the cover. I'm just happy we got the colors to turn out the way we wanted them. Glad you stopped by LouAnn. The premise is unique in my opinion and the review makes it even better. Thanks for the opportunity to win the book, Sally. Janet, please enter me for the e-book giveaway since I'm international. I'm happy you liked the review. You are entered for the eBook. It takes a special person to have a Great Pyrenees. It sounds like your characters are real people with real-life issues. A delightful foundation for romance. And, your cover is welcoming. Thanks. We can thank Janet for the beautiful cover. I wanted readers to want to join me for tea there, Janet did that. Especially the back cover. Thank you to Joy and Sally! Joy, the characters come across as real people with real problems. Sally did an excellent job developing her characters. I have ready Sally Smith O'Rourke's other books, and I know that the story and writing will be just as excellent. I like the idea of meeting again after 20 years and especially following an earthquake. Thank you for the review and for the giveaway. I would welcome either the ebook or paperback book. So glad you stopped by Eva. This book is as good as Sally's others. I know you will enjoy reading it. It sounds heartwarming and I like the mysterious element that the past lives plays in it. Cute dog companions and children in a story are just bonus. Would love to read it! I'd be interested in the paper or e-copy. Thank you for stopping by Sophia Rose. This is a very good story. Hope you can read it soon. This sounds liike such an interesting read. I've loved all of Sally's other books the I've read so far. It would be lovely to read another that isn't JAFF. I'd like to enter for the paperback copy (U.S.). I've heard of this author before but I don't have any of her books. This one sounds interesting.